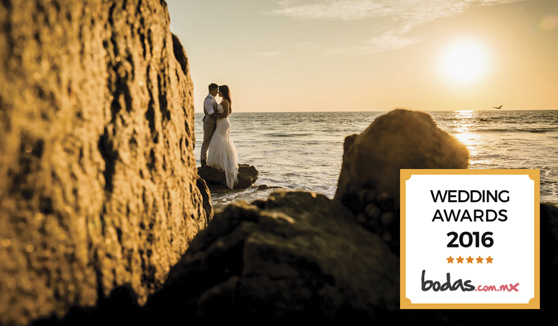 The third edition of the Wedding Awards recently announced this year’s best providers in the weddings segment, among them several of the Riviera Nayarit’s hotels, thanks to their top-notch service. These awards recognize the top five percent of the most recommended and most valued businesses in bodas.com.mx, per the bridal couple. Over 30,000 couples participated, basing their picks on the quality, pricing, responsiveness, professionalism and flexibility. The Destination’s winners in the Ballroom category were the Hard Rock Hotel Vallarta, Rancho Banderas All Suites Resort, Iberostar Playa Mita and Hotel Villa Varadero. The four winners are all members of the Banderas Bay Hotel and Motel Association and are located in Nuevo Vallarta and Punta de Mita, two of the most luxurious microdestinations in the Riviera Nayarit. And speaking of the weddings and honeymoons segment, last week the Hard Rock Vallarta hosted the WOW Wedding Event, attended by over 100 international travel agents who received their certification as wedding specialists on the services and products offered by the chain and its collections.